Border Aggregates Ltd is committed to safeguarding the privacy of its website users. This policy, together with our Terms and Conditions of Sale, sets out the basis on which any personal data we collect from you, or that you provide to us, will be processed by us. Please read the following carefully to understand our code of practices regarding the collection, processing, use, sharing, and storage of your personal data in accordance with the Data Protection Act and the General Data Protection Regulations (GDPR). We, Border Aggregates Ltd of Scotland Road, Carnforth, Lancashire, LA5 9JZ will be the responsible controller for any personal data you provide us with in connection with our business relationship. Personal information may include “special category data” relating to racial or ethnic origin, political opinions, religious beliefs, membership of a trade union, physical or mental health, criminal records and allegations. Border Aggregates Ltd, does not collect “special category data” from visitors to its website, unless you choose to send it to us. Unless otherwise agreed with you, we will collect only the basic personal data required in connection with our business relationship. This includes your contact data (such as name, job title, address, telephone number, email address); information on your CV if you apply for a position on our website; mobile device unique identifier and the IP address of your computer if you use our websites or apps. While doing business with you, we will also collect business-related data which may include information on purchases, services and other business activities, product feedback and any other information you may provide to us. We will also use the information you provide to us to ensure that the content from our website is presented in the most effective manner for you and for your computer or smart device. To opt out of being tracked by Google Analytics across all websites, please visit: http://tools.google.com/dlpage/gaoptout. We will collect your personal data directly from you when you interact with us e.g. when you visit our website, communicate with us in relation to our products and services, submit an order, register to receive our newsletter or participate in our customer surveys. We use your personal data for providing you with the products and services we offer. To do so, we keep records of your business with us and manage your account. We may also contact you for customer assistance and service purposes or to inform you about our products and services. If you do not provide us with your personal information, we will be unable to provide you with the requested products or services. How do we store and use your personal data? We may store and process your personal data, or share it with the recipients described below, who are outside the European Union. We will do so only to the extent permitted by applicable law and take appropriate safeguards to ensure the security and integrity of your personal data. • credit reference agencies and other companies for use in credit decisions and to pursue debtors. • our regulators, government (e.g. HMRC) and law enforcement or fraud prevention agencies, as well as our professional advisors etc. We may also instruct service providers, domestically or abroad, to process your personal data on our behalf and in accordance with our instructions. • If we, or substantially all of our assets, are acquired by a third-party, in which case personal data held by us about our customers will be one of the transfer assets. • In order to enforce or apply the terms of any contract with you. • If we are under a duty to disclose or share your personal data in order to comply with any legal obligation or regulatory requirements, or otherwise for the prevention or detection of fraud or crime. Otherwise, no third parties will have access to your personal data unless there is a legal obligation, or you give us permission to do so. We’ll keep your personal information in accordance with our internal retention policy. We’ll determine the length of time we keep it for based on the minimum retention periods required by law or regulation. We’ll only keep your personal information after this period if there’s a legitimate and provable business reason to do so. Unfortunately, the transmission of information via the internet is not completely secure. Although we will do our best to protect your personal data, we cannot guarantee the security of your data transmitted to our site over unsecured internet connections; any transmission is at your own risk. Once we have received your information, we will use strict procedures and security features to try to prevent unauthorised access. You have rights under data protection law that relate to the way we process your personal data. More information on these rights can be found on the Information Commissioner’s website. If you wish to exercise any of these rights, please contact us via enquiries@border-aggregates.co.uk marking your correspondence for the attention of THE DATA COMPLIANCE MANAGER. 1. The right to access personal data that we hold about you. 2. The right to make us correct any inaccurate personal data we hold about you. c. where you object to the way we use your data, and there is no overriding legitimate interest. c. you have the right to require us to erase personal data but would prefer that our processing is restricted instead. 7. The right to withdraw your consent, where we’re relying on it to use your personal data (for example, to provide you with marketing information about our products or services). If you have any concerns about how your personal data is handled by us or wish to raise a complaint on how we have handled your personal data, you can contact us at enquiries@border-aggregates.co.uk to have the matter investigated. If you are not satisfied with our response or believe we are processing your personal data not in accordance with the law you can complain to the competent data protection supervisory authority in your country. 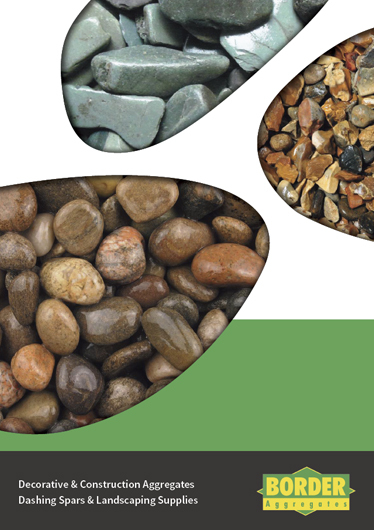 Or by emailing: enquiries@border-aggregates.co.uk (marking emails for the attention of the Data Compliance Manager).